The CSI12001X is a fully regulated benchtop linear power supply with adjustable current limiting. 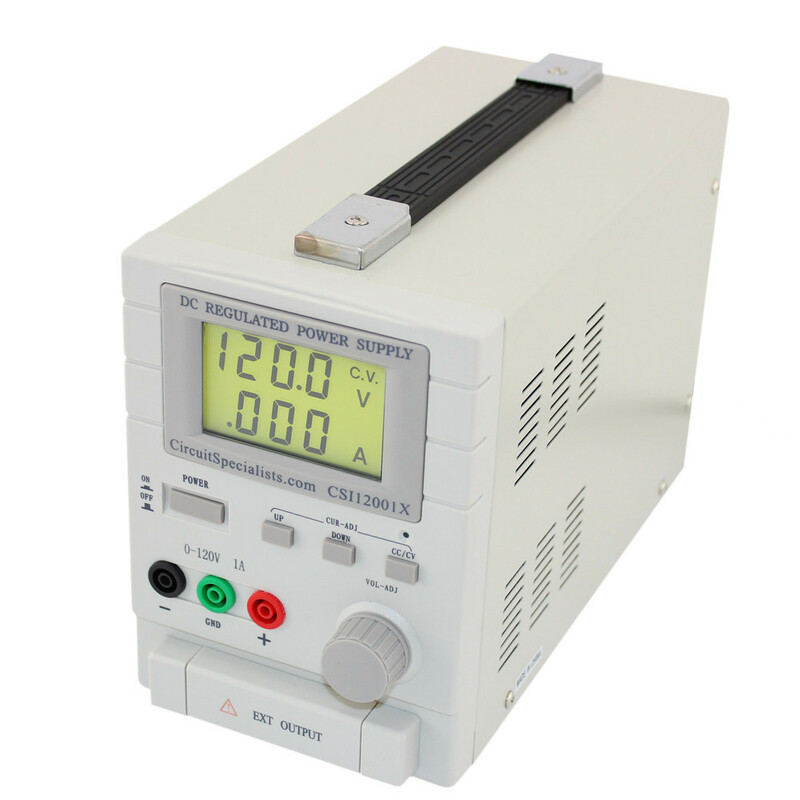 The Circuit Specialists CSI12001X is a high stability, linear bench power supply featuring an LCD digital read-out, and constant voltage and current output modes. Short circuit and current limiting protection are provided in addition to an onboard cooling fan. SMT PC boards and built-in thermal protection help ensure reliable performance and long life. 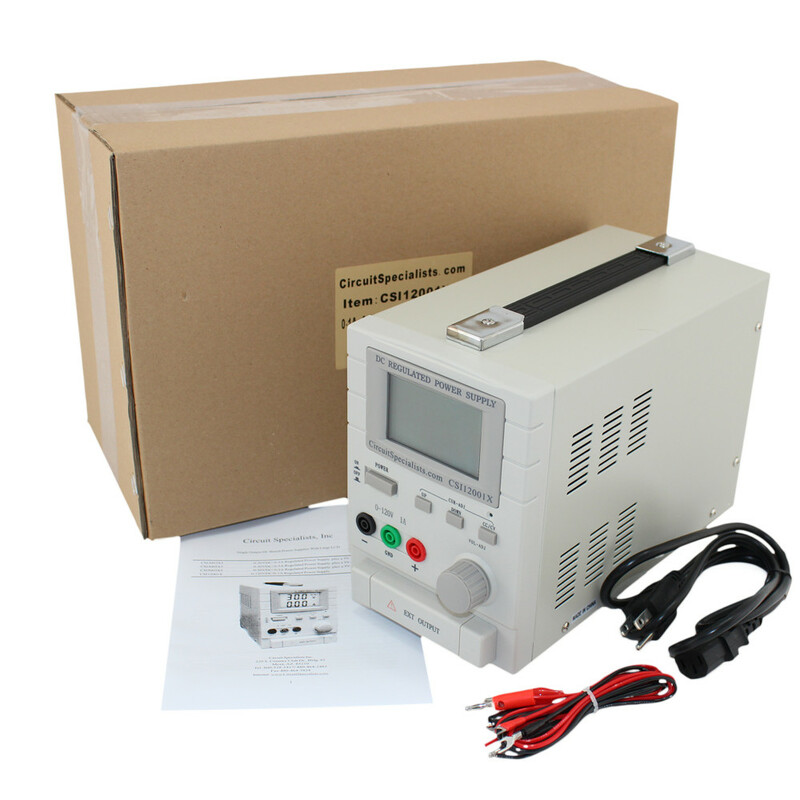 This unit is the perfect choice for lab and educational use where 120V operation is required. 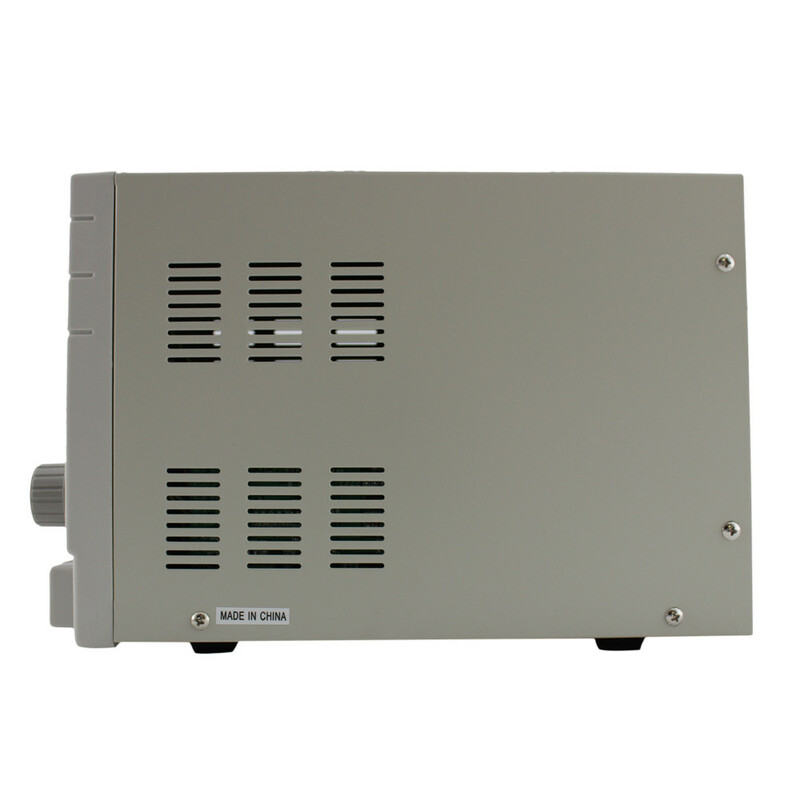 This bench power supply provides an adjustable output of 0-120 volts and can deliver current up to 1 amp. 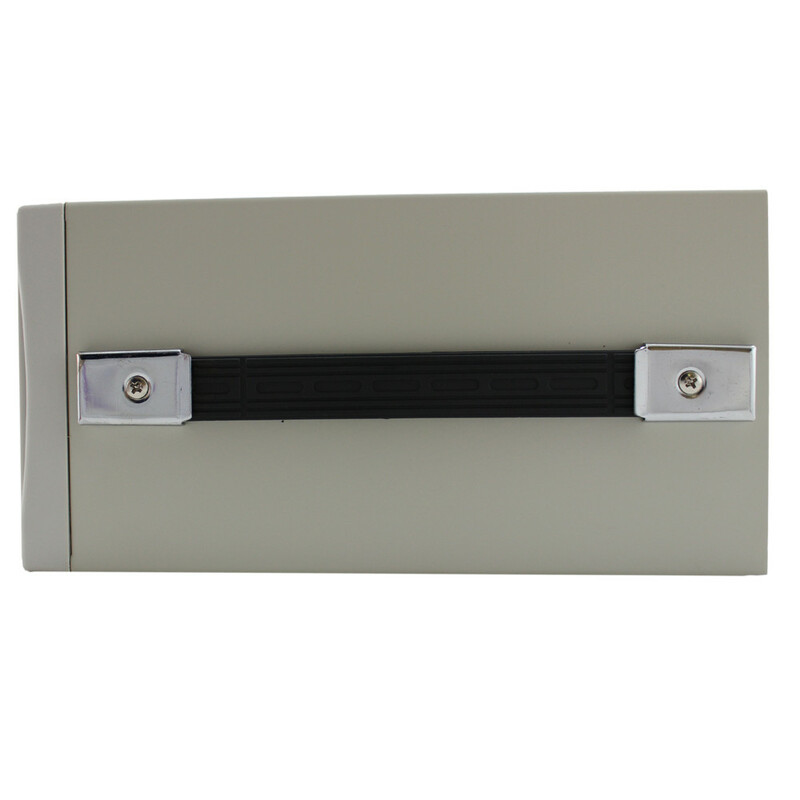 Expertly manufactured, this Circuit Specialists house branded version compares with bench power supplies costing twice as much. 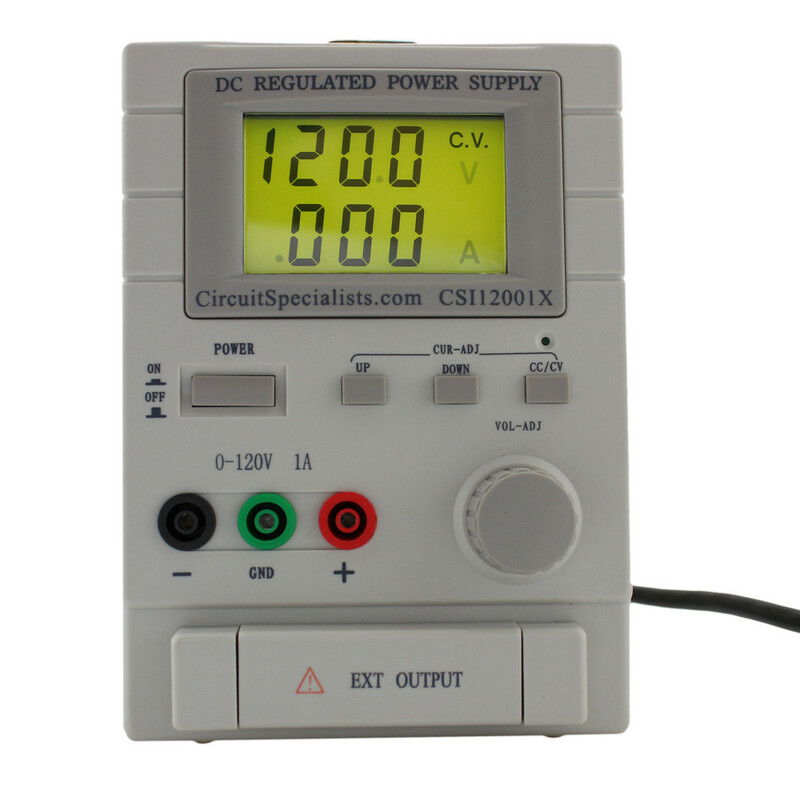 Voltage levels are displayed on a large, clear LCD display that shows both voltage & current. The current output can be adjusted via front panel switches, while the voltage is adjustable by a large front panel multi-turn knob for precise settings. Output is via a pair of front panel banana jacks, additionally there is a covered terminal strip for remote voltmeter sensing at the load. 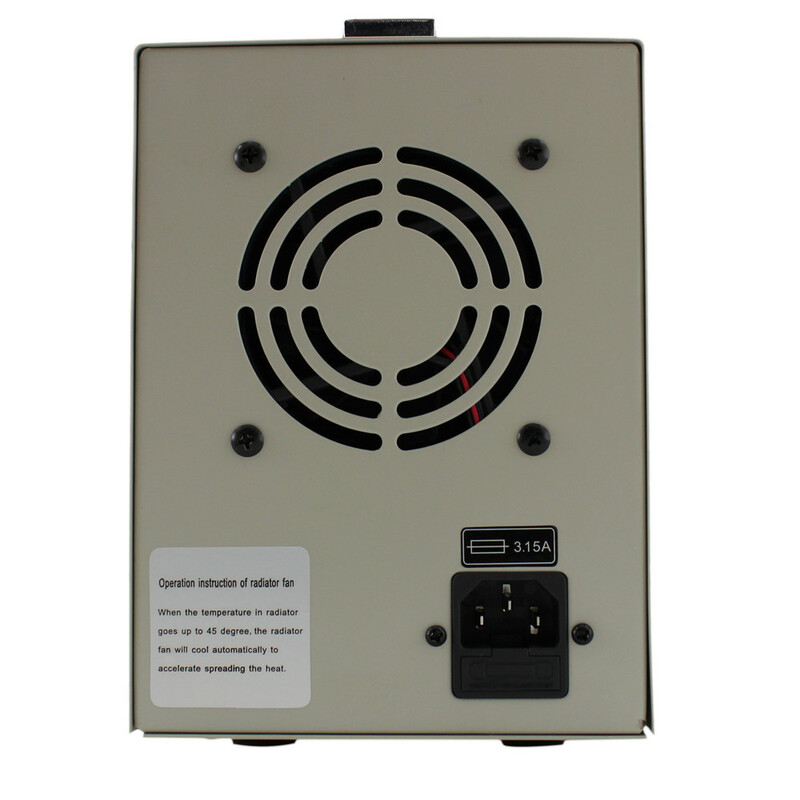 Please Note: This power supply uses standard 110-120 volt, 60 Hz AC power and is supplied with a grounded power cable compatible with 110-120 volt power outlets as used in the United States. It is NOT compatible with 220-240 volt, 50 Hz power systems used in other countries unless a proper power adapter/converter is used (not included). Due to safety concerns, Circuit Specialists does not stock power adapters or converters for power supplies at this time. For more information, refer to the CSI12001X DC Power Supply's Owners Manual. This power supply's output is always on, so be very careful to ensure no high voltage short circuit takes place as it will likely ruin the unit. Check out the Circuit Specialists blog and learn to Test LED bulbs with a bench top power supply. Click here to see part 1 of the CSI12001X's Schematics. Click here to see part 2 of the CSI12001X's Schematics. For most power supply applications you'll need a programmable DC load.